Are you looking for more connection in your marriage? Do you feel like your dating situation is hopeless? Do you spend so much effort working on your relationships and yet not feel as if you are really getting anywhere? Do you struggle to understand how to apply your Jewish learning to these questions and wonder whether the secular advice you hear is fitting with Torah teachings? There is an overwhelming amount of information and “helpful advice” out there when it comes to self-improvement and relationships. Everyone seems to be talking about the topics of dating, relationships, and marriage, sharing studies and insights into what you should do to improve your love life. But how do you take all of this advice and make it practical in your life as a Jewish woman? Can you really live and love differently simply from learning or hearing about these ideas? The truth is that simply hearing or reading about what to do is not enough to really change yourself or relationship. To make a real change, you need guidance from people who are not simply talking about what to do, but who can teach you how to apply it in a way that is practical and aligned with Torah values. 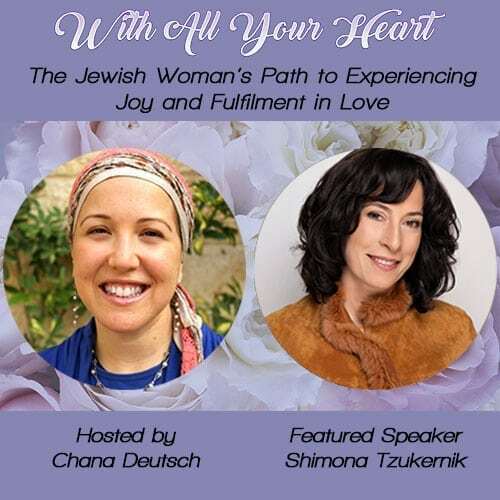 This is why my friend and colleague, Chana Deutsch, has created the “With All Your Heart – A Jewish Woman’s Path to Experiencing Joy and Fulfillment in Love” FREE virtual interview series! 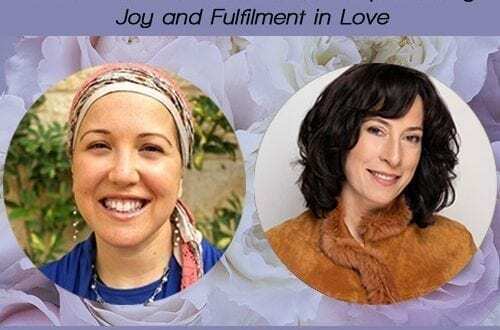 Chana has invited over twenty of today’s female Jewish experts on the topics of Torah, marriage and dating to share practical and life-changing tools that can be applied instantly to bring more connection and intimacy into your life – and I am honored to have been invited as one of the featured speakers! If you are ready to receive real, applicable, and Torah-centered relationship advice, all you have to do is click on the link below to sign up and you will receive the interviews directly in your inbox! Real tools for building a marriage that is intimate, loving and peaceful. Insight into the importance of developing a relationship with yourself and understanding as to why this is so crucial for a happy marriage. Exercises for continuous growth in your relationship with Hashem, even in the busyness of life, so that you can stay focused and inspired to continue growing. This is a free event that will only be available for a limited time, so I encourage you to get in on it today and take full advantage of all that you can learn from the amazing women involved! Imagine being inspired and empowered to make real changes in yourself and in your relationships through the wisdom and skills that will be shared.